The Fellowship Programme in Huntington’s Disease is now open for the 2019 round of applications. 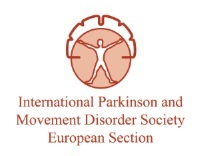 EHDN in collaboration with MDS-ES (The International Parkinson and Movement Disorder Society’s European Section) will be awarding SIX grants in 2019 for applicants to visit an EHDN or MDS-ES centre with Huntington’s Disease expertise in Europe. The objective is to provide a well- defined clinical observational experience in a department with recognised expertise in a HD specific field. The placement will be for a period of 6 weeks (5 days/wk) to visit as an observer to learn about general HD clinical practice or about a specific aspect of HD care. Priority will be given to applicants who wish to engage in clinical practice or research in HD, who have shown interest in HD (e.g. publications), and have a realistic prospect of remaining active in the HD field upon completion of the programme. Priority will also be given to applicants coming from countries/regions where HD facilities or a specific aspect of HD care is not well developed. For further information about the programme, eligibility criteria and application details click here. The deadline for applications is Friday 15 March 2019.